← The Daily Scrapbook (8/29/13)– Trek Merchadise Ads! 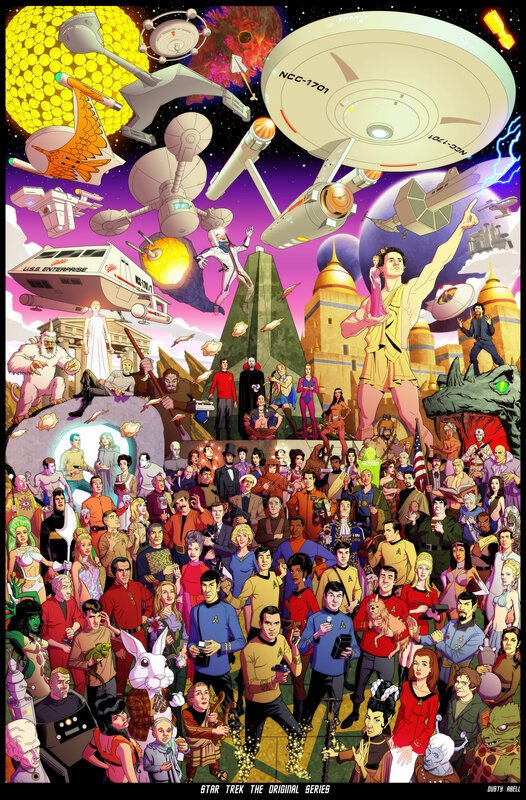 This entry was posted in Fan Art Fridays (FArFri), Uncategorized and tagged Can't fine them all?, Dusty Bell, Star Trek. Bookmark the permalink. Wow! It’s amazing how much he managed to pack in there. Is that a Jedi in there? Don’t see any Jedi, but I love how every time I look at this, I see something new! Be sure to click on it twice to enlarge it!